Last week Joe Harvey and the Infinite Pixel team interviewed Warwickshire man, Mr. Price about a remarkable find whilst recently out magnet-fishing in a local canal. 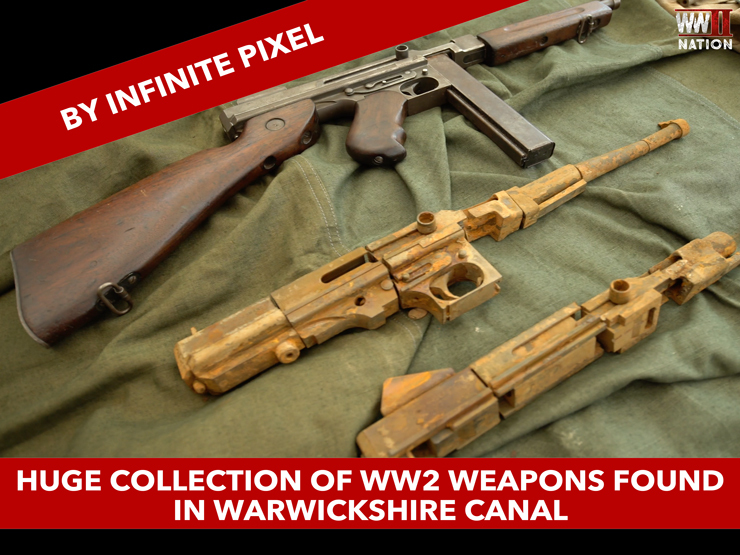 Astonishingly and much to their utter amazement, the family came across a complete cache of guns dating from the Second World War, which they pulled out of the murky waters of a canal in Warwick. 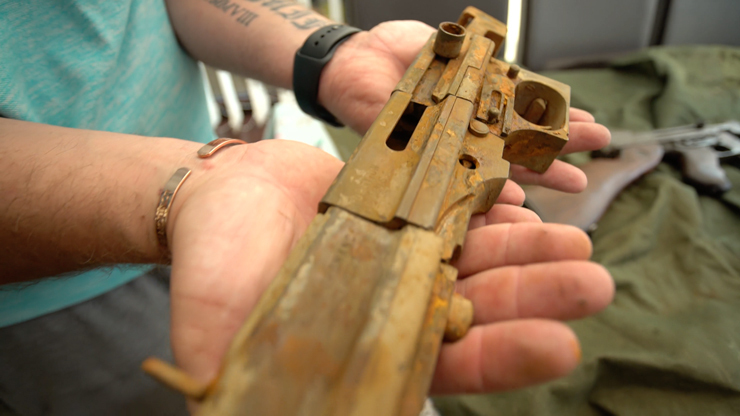 The magnet-fishers kept pulling out piece after piece of these various guns which had been cut up and dumped in the river, this included remnants of a Thompson M1A1 submachine gun that had been submerged for years. 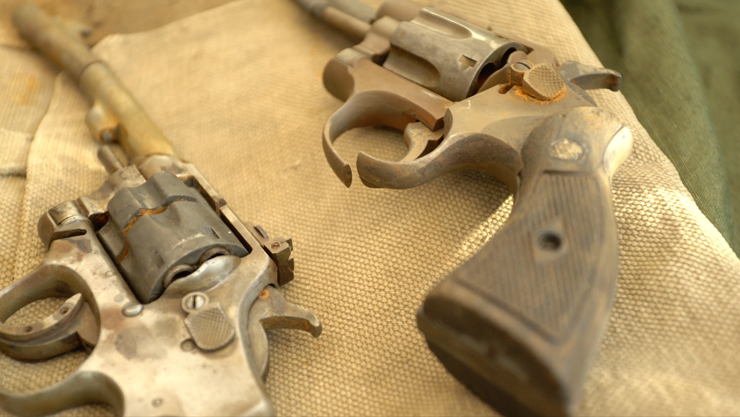 Added to this, the family uncovered an array of other weapons dating from this period including two revolvers (photographed above), a Lee Enfield Rifle and a German MP40. Ammunition and a grenade were also recovered which have since been handed over to and disposed of by the Police. Thanks for viewing and we do hope you have found it of interest. Stay-tuned for more on WW2 Nation as we have a lot coming up shortly including two photo reels of our highlights from the Chalke Valley History Festival 2018, videos from Ben Mayne in conversation with WW2 veteran Alan King, and also a 3-part interview on the WW2 Nation Podcast with battlefield guide Mike Peters talking Operation Husky. 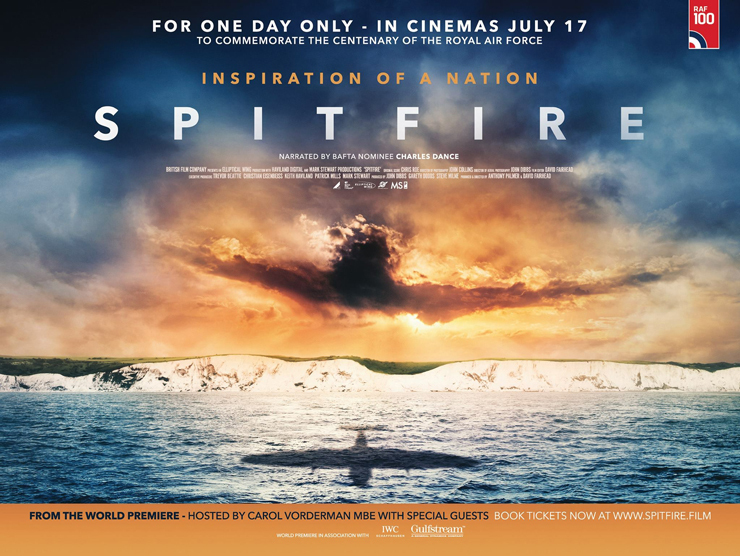 Until then though, why not enjoy listening to our latest Podcast where we talk all things Spitfire related with one of the Co-Directors of the new film documentary Spitfire.